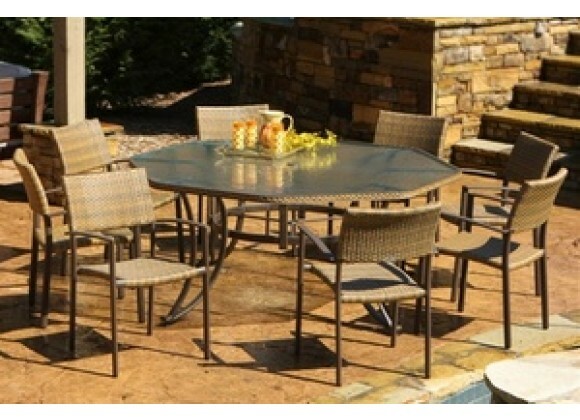 Exclusively from Tortuga, The Maracay 9-Piece Dining Set offers an elegant touch to your patio,garden, or poolside. Made of synthetic wicker that is rigorously tested for environmental effects, it offers you the beauty of wicker without the worry, because it is stain, water, UV, crack and split resistant. Also includes tempered glass, which is more durable than ordinary glass. Includes 1 Table and 8 Chairs. 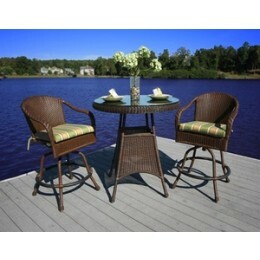 Unlike natural wicker our all weather wicker is stain - water - uv - crack and split resistant. Hard to find extra large table seats 8. Seadrift pattern tempered glass top. Umbrella hole in table center. 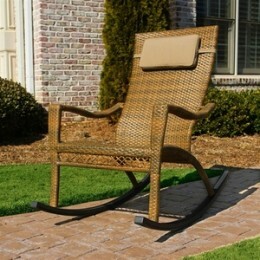 Stackable chairs for quick and easy storage. Tree bark wicker with antique gray finished frame.